A dependable chamois shirt is a backwoods essential. 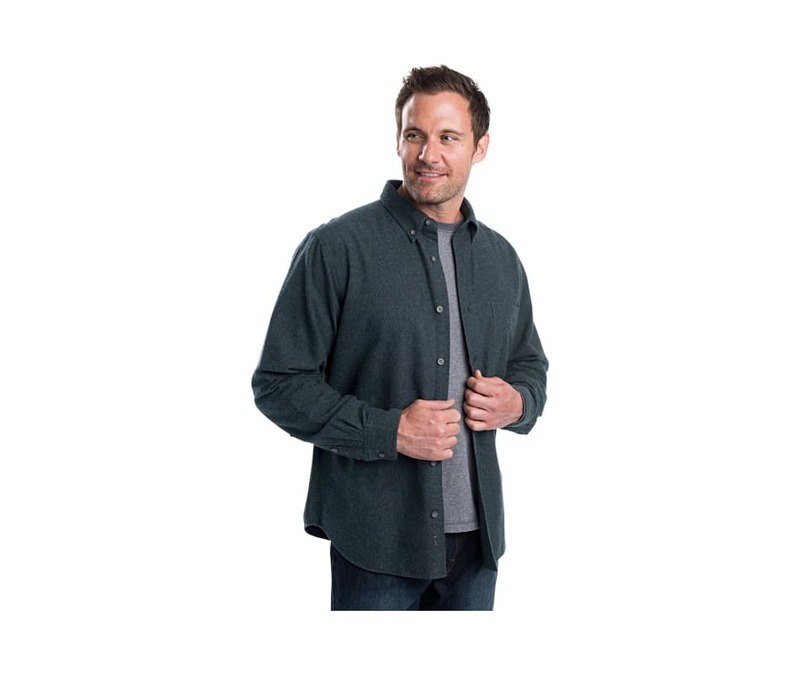 This heathered, medium-weight cotton is soft and comfortable and will hold up for years. The Sportsman Chamois is a lighter-weight fabric than the Expedition Chamois, so it's an excellent choice for transitional seasons, or as a layering piece during the coldest months. Button-down collar, contrasting inner collarband, and locker loop on back. 100% cotton.